Camping with kids can be a great time. Sometimes the surrounding area can provide a plethora of natural play activities; like the beach, for instance, never seems to run out of things to do. 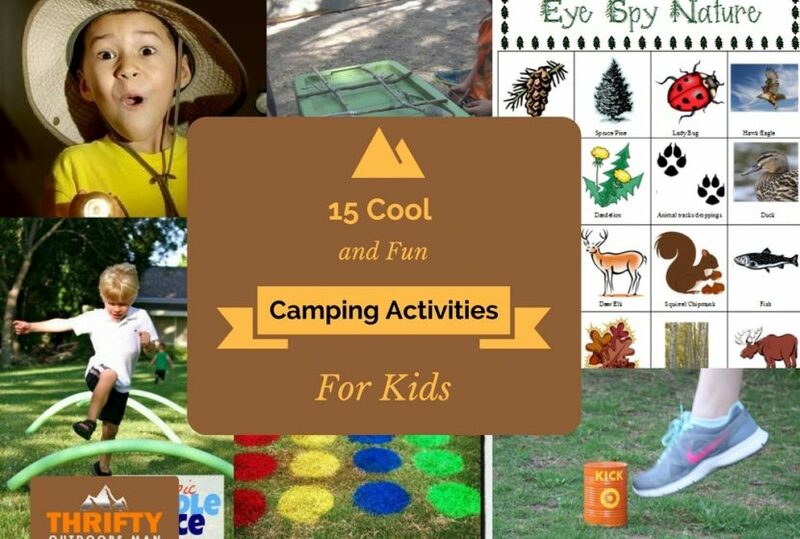 But if you aren’t surrounded by obvious activities, you might need to take a mental note of these 15 cool and fun camping activities for kids to keep everyone occupied and happy. Geocaching is a fun and inclusive activity where you hunt for hidden objects by following GPS coordinates on your phone. Who knew that you could combine technology with nature and adventure in this healthy and popular activity? Check out this video that introduces the idea of geocaching. There is a fun, easy and interactive map that you can download to your phone through the geocache app. Geocaching.com is the official geocaching website and the app is completely free! A benefit of this activity is that you are teaching your kids how to follow coordinates, how to read a map, safety while following trails to the cache, as well as the social side of things by sharing your finds with others. Here is a great tutorial for the how-to of geocaching. Don’t forget to bring a little goodie to trade out in the cache, aka container, and also a writing utensil so that you can sign the logbook. 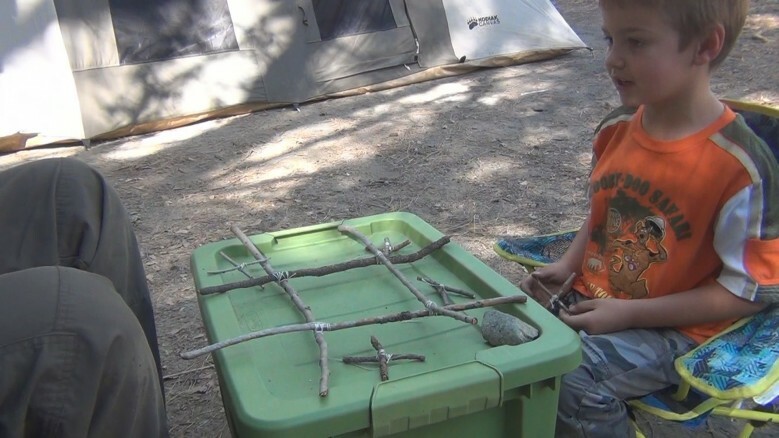 Bring on the nostalgia with this nature inspired game of tic-tac-toe. The fun starts by going on a “scavenger hunt” and finding four similar sized, big sticks, a bunch of thinner sticks (you could get a bunch of small ones, or a few long skinny ones to break into pieces), some string, and some rocks. Build your board with the four thick sticks. Make smaller, similar sized stick pieces and tie them together with the string into the shape of an X. The sticks shaped like an x are the X’s and the rocks are the O’s. You can always up the stakes by having a prize; maybe winner of three rounds gets an extra s’more! Here is a great visual for how to build your game. The best part is that it’s free! 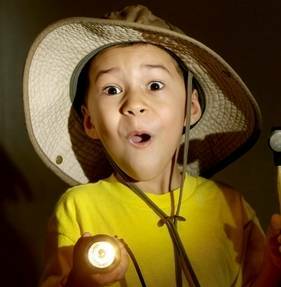 “Ready or not, here I come!” Flashlight tag is an amalgamation of tag and hide and seek. You just add in the extra challenge of playing it in the dark (watch out for clowns though! Just kidding, mostly)! Here is one way that you can play. This version has more rules if you have older children. For the younger ones, the less rules the better. The most important rule being safety and not wandering off too far from the game-play area. You don’t want to have to go on a rescue mission in the dark! I know I would be terrified to play this as a kid unless I was in control of the flashlight. Regardless of ages though, this is a fun game for all ages. #4: How to Make a Compass. One of my favorite things about being outdoors with kids, and especially camping, is learning new skills. Survival skills may be seen as “all the rage,” but in all seriousness, I would much rather be categorized as following a fad and have some solid survival skills compared to not having any survival skills and be faced with an emergency. Building a compass with children is fun and simple. This would be a perfect activity to follow or precede geocaching that uses GPS technology rather than the manual “technology” of a compass. 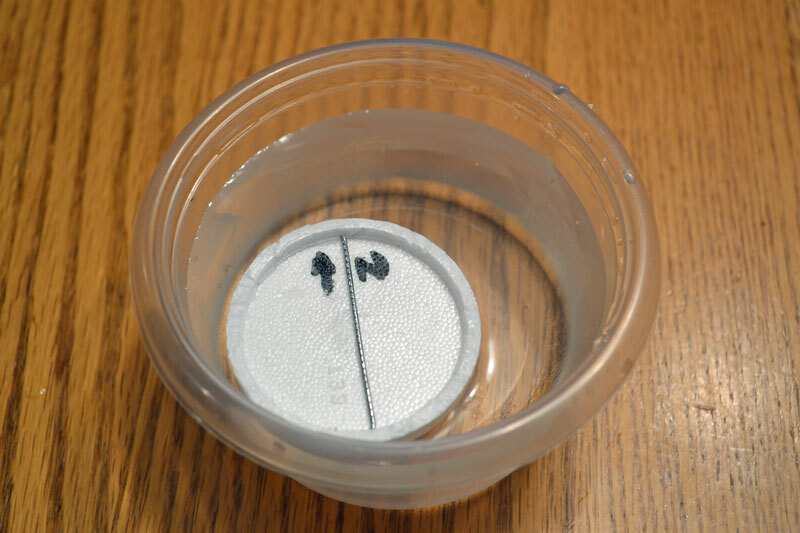 You could make a dry compass or a wet compass. A dry compass will require adult assistance when rubbing the needle on the magnet because the needle is very sharp. Here is a great guide on how to make both types of compasses. Here is a great visual guide for making your DIY compass. Firewood may seem like a single purpose object; for creating fires, but these lumps of wood can also become a plaything for children. 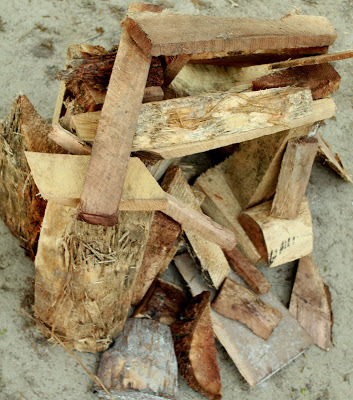 If you have an odd assortment of shapes, the firewood could be used as an open ended activity where kids can stack and build the wood into different sculptures. They will learn about balance, precision, design, and gravity. If you have small children, stay close by in case their sculpture comes crashing down (hopefully not on them!). #6: Target Practice (Nerf Guns). Kids love shooting things with Nerf guns. You can set up your very own cool and safe target practice using a variety of materials. 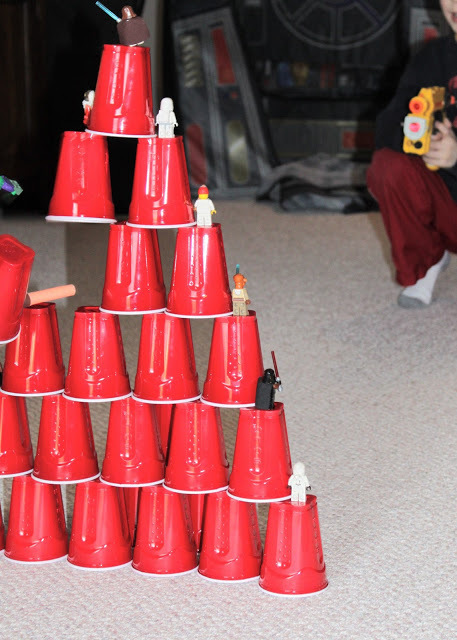 ...where you set up red plastic cups (you know the ones that you find at every college party) into a pyramid. Then they can take aim from a specified spot and shoot them down! You could even set them at different distances as they progress and end with a cool prize.The options are limitless as far as what the targets are. You could print and bring some paper targets to hang from various locations. You could also set it up like an obstacle course, ducking under bushes to hit a target, then hitting another target way up in the branches. 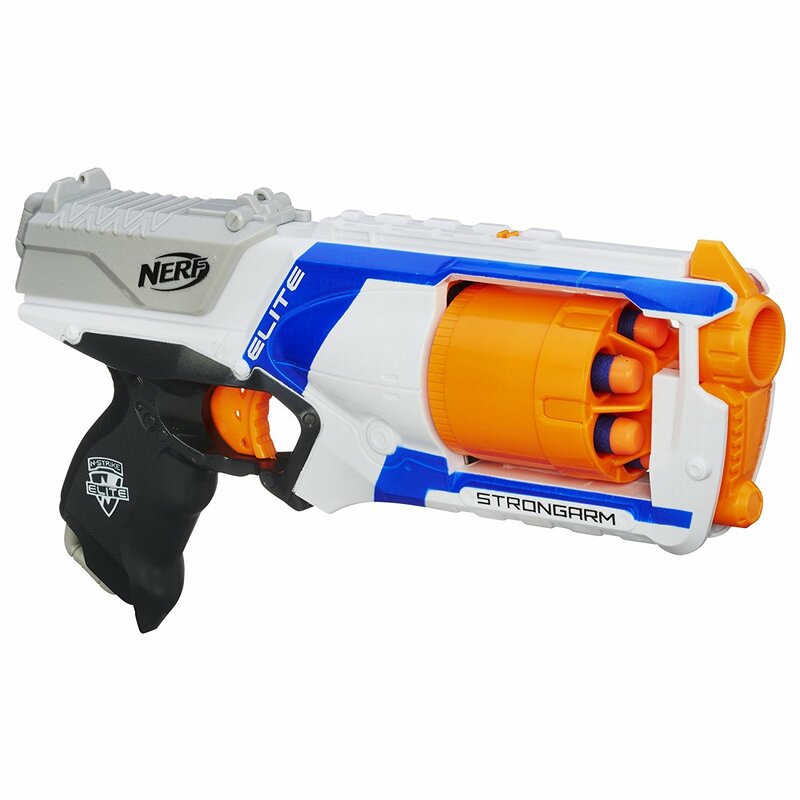 Here is our favorite and most affordable Nerf Gun. Yes, just like the board (ground?) game called Twister. This game is quick and easy to set up. 4 different colors of spray paint; typically red, green, blue, and yellow. A circle stencil cut out from card stock or a paper plate. Then you spray 4 rows with a different color each. Typically six “dots” per row. Here is a great visual on how to create the “board” game! Note: always check with where you are staying to make sure it is legal for you to spray paint the grass and property. 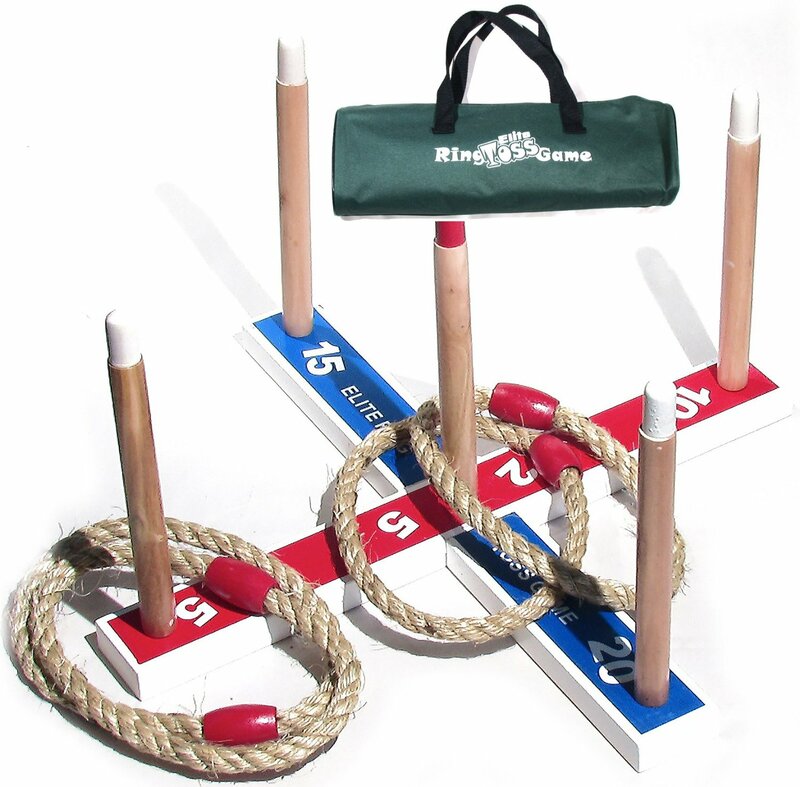 This ring toss game is loads of fun! 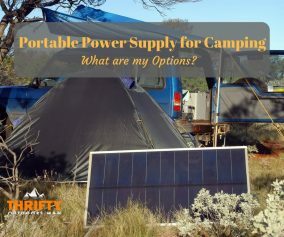 It comes in a compact carrying case leaving you with plenty of room to pack your camping essentials. 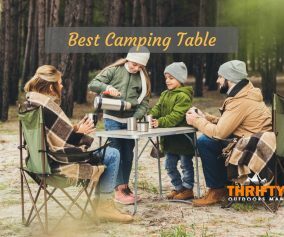 This timeless game will entertain young and old alike.If you are a no electronics allowed type of camping family, this is the perfect addition to your game bag. Everyone will have a lot of fun connecting and laughing over this game. Bonus: it’s super-fast and easy to put together and doesn’t take up much space! #9: Eye Spy Nature Scavenger Hunt. I can only remember a handful of times that I went on a scavenger hunt as a child. Most of these experiences I had through school. What I do remember from each hunt was how exciting it was, and how I wished I could do it again. 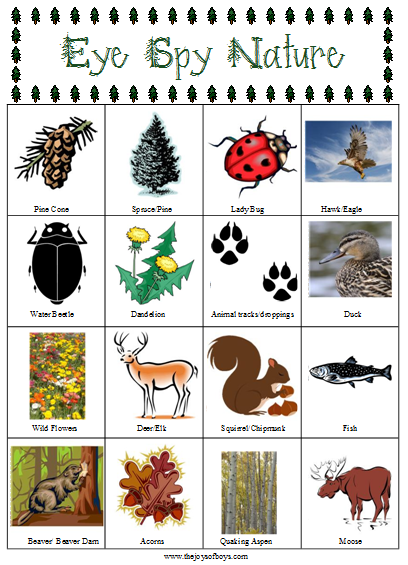 What better way to familiarize yourself with your surroundings then by an eye spy nature scavenger hunt! There are tons of printable's out there on the World Wide Web that you can use that are pertinent to where you live. With these scavenger hunts, you and your kids can learn about new plants and animals, as well as spotting familiar ones. It barely takes any prep work to do a scavenger hunt. You just need to print out the materials and bring them along. If you will be in a rainy area, it might be a good idea to laminate the papers so that you can use them again and again without them becoming soggy and torn. Here is an extensive list of 75 different scavenger hunt printable's that you could use. When you find a lull in the adventures of camping and hiking and exploring, when everyone is sitting around a campfire, you can bring out a handful of rope to learn to tie knots. There are lots of cool uses for knots like mooring a boat, making a fishing net, tying up your garbage and food, hanging a hammock, or tying more than rope together for emergency uses. Knot tying isn’t just a fun skill, it’s a survival skill that could come in handy in many different situations. Here is a camping field guy with a handful of different knots that you can start out trying. The important thing to remember is that practice makes better. It can be difficult, especially for children, to get the hang of a knot on the first try. So make it fun and show them practical ways to use their knots and they will be excited to keep trying and learning different knots. Do you have a family full of disc golf fanatics? 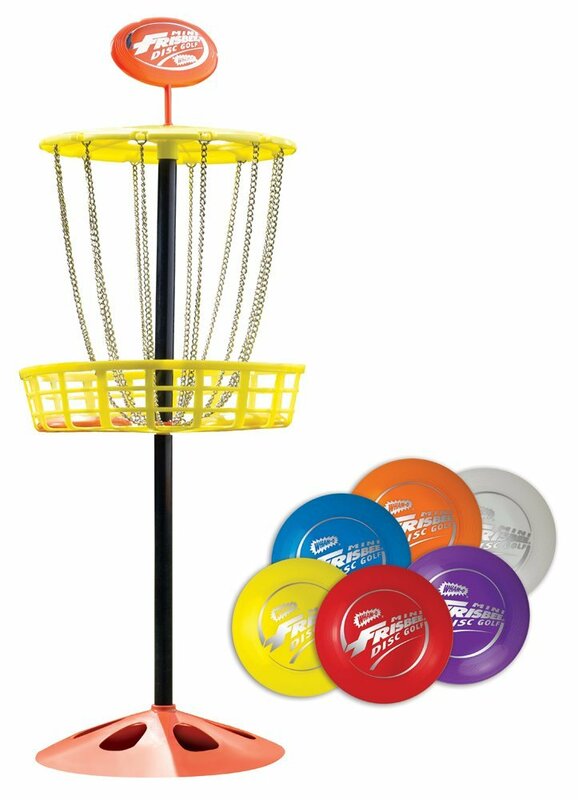 This Frisbee golf, also known as disc golf, target could be the perfect little piece of equipment to bring along on your camping adventures. You can set the target up in simple and challenging places for a variety of levels of play for the whole family; the discs are small enough for even the smallest of hands. A bonus with this contraption is that you can use it indoors when you aren’t on a camping adventure. Who knew that you could take part in the Olympics in the middle of the wilderness! There are all kinds of silly and not-so-silly Olympic Games that you can incorporate into your camping. For javelin: each camper throw a stick or a straw as far as possible. The straw would be quite funny to witness! Shotput: Toss balled up socks, buns, or anything else that you can dream up. Olympic torch: campers can race through a designated track with a lit candle, camper to reach the finish line first with a still lit candle wins! You could also create your own games; like a bean toss. Each camper gets the same amount of dried beans (or wet, squishy beans if you really wanted to) and has to toss them into a bucket or jar. 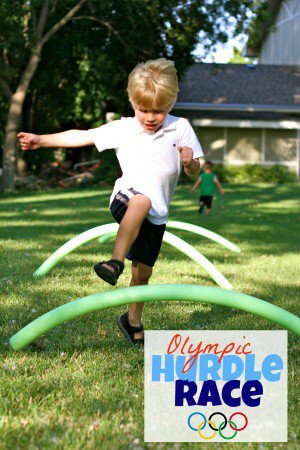 Here is a list of a ton more ideas that would be a lot of fun, from Olympic hurtles to balance beams. Whatever you choose, have fun! 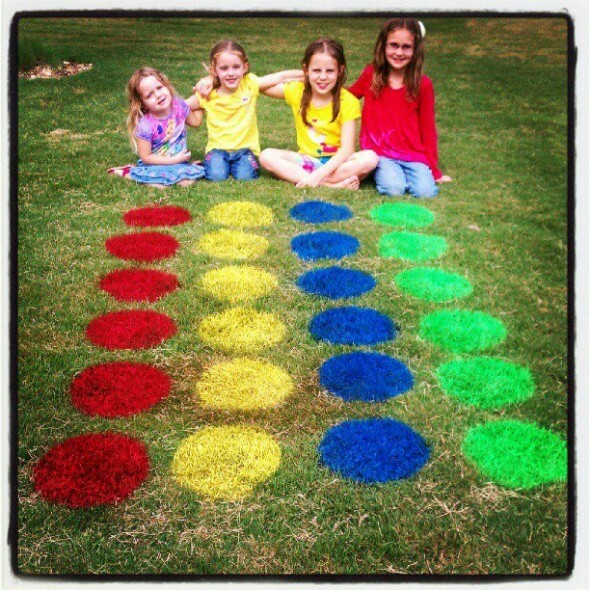 This creative game found here is a fun way to cool off in the heat. One person is tasked as the “bomber” and the rest of the people find hiding spots. The bomber tries to hit the people as they run from obstacle to obstacle. They’re “weapon” can be sponges soaked in water or water balloons. This is a great cooperative game that everyone can take turns in being the bomber. 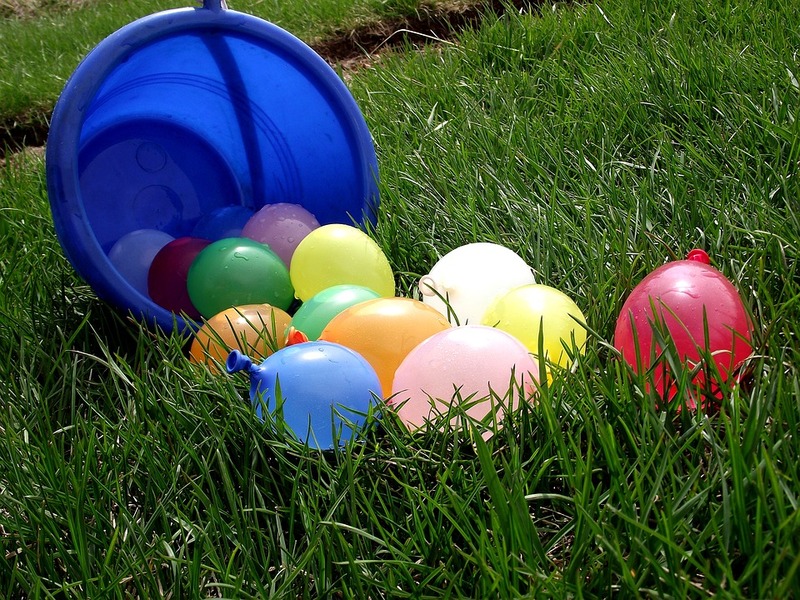 It might even end with a fun water balloon fight, or better yet, an attack the parents with wet sponges fight. Backpack pass is a family fun cooperative game. Fill enough bags inside of bags to make sure each member of the family gets to open one. Then set the bag inside a camping backpack.Next, have everyone sit around the campfire. Start some music and pass the backpack around. When the music stops, the person with the bag opens the first bag and does the command. Then cue music again. It’s like musical chairs with chocolate and some silliness mixed in! 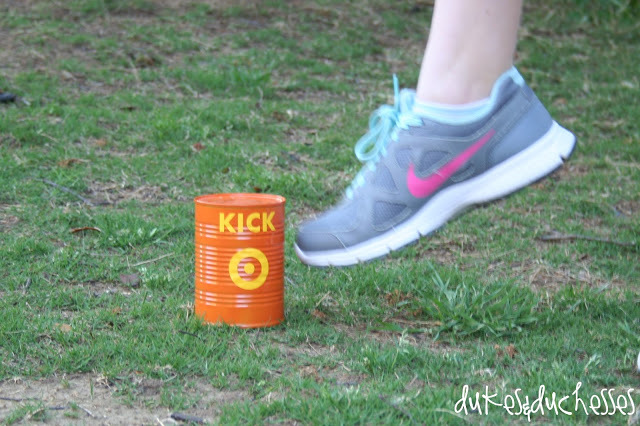 Kick the can is a game that you may remember from when you were a child. It’s timeless, simple, free, and fun! The game can be played day or night, and the goal is to have someone be “it” that has to try and find everyone. One person will kick the can and then everyone will run and hide. Once the “it” person puts the can back into its place then the hunt begins. The person that is “it” will find people by touching the can and saying the name and location of the person hiding. If they guess correctly, that person goes to jail. There are probably multiple ways to play the game. You can negotiate the rules with your family, taking into account the ages of everyone playing. 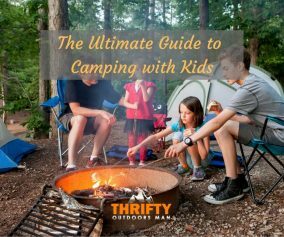 Having a resource of ideas for activities to do with my kids is always at the top of our list to avoid boredom or frustration while camping. 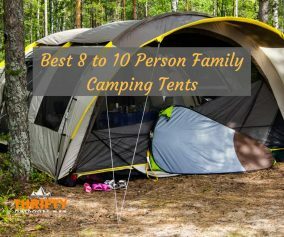 Some of these can be played without adults participating, which gives us some time to get camp set up or to just chat while the kids are occupied and happy. What are some of your favorite cool and fun camping activities for kids? If you found this list useful, please share it with your friends and family!